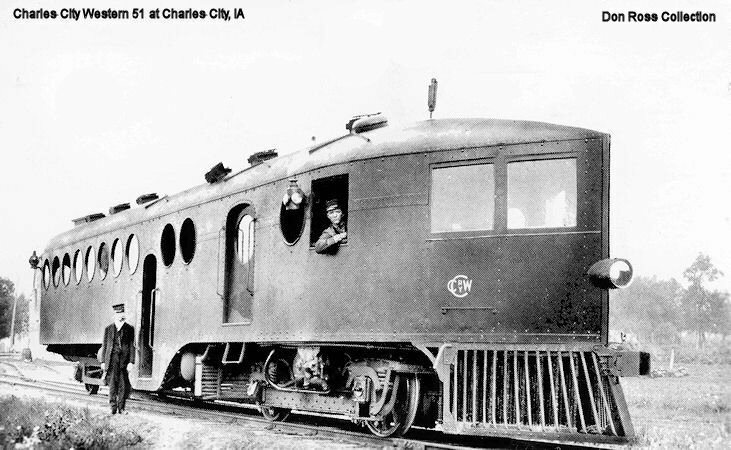 Charles City Western Railway | The McKeen Motor Car Website Charles City Western Railway | The Compendium of Knowledge on the McKeen Motor Car Company, and their experiments. 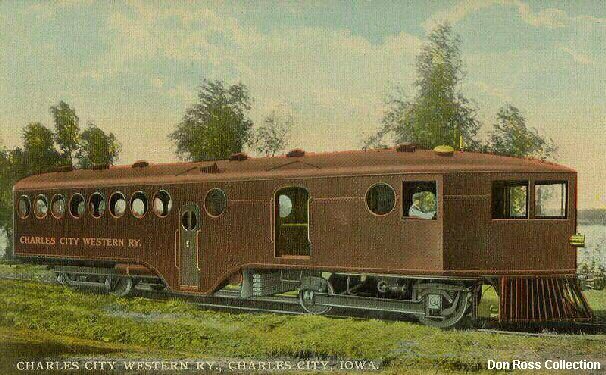 Here is a postcard of the Charles City Western Railway McKeen Car. This photo was taken in Charles City, Iowa. Here is a postcard where the McKeen Motor Car Company had the name of the railroad printed on the postcard and was supposedly the car. Now compare that to the postcard below, it has the same trees and everything, but when the plates for this postcard were made, the “Union Pacific” and was replaced with “Charles City Western RY.